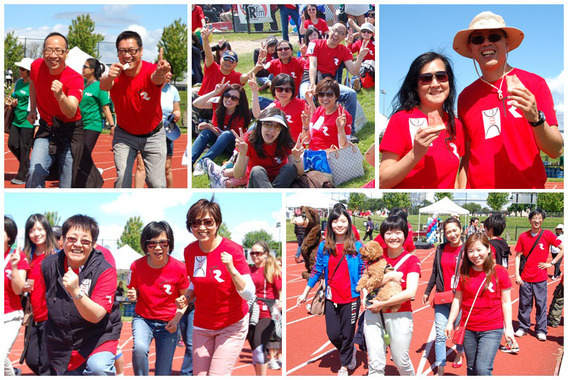 Over 100 Fairchild Radio DJs from Vancouver, Calgary & Toronto stepped out in the sun to raise funds for Crohn's and Colitis Foundation in the Gutsy Walk last Sunday. 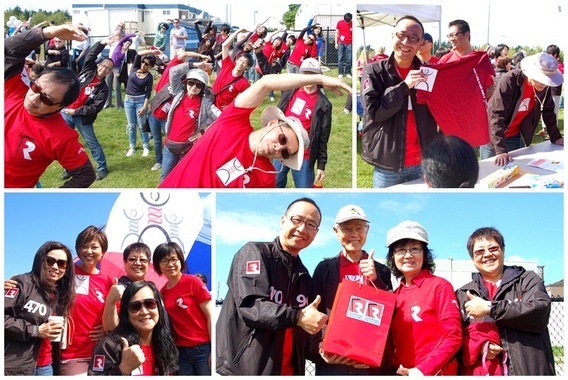 ‘The day was blessed with really great weather and once again the Walk gave us an opportunity to put something back into our local community.’ Fairchild Radio Group President Mr. George Lee said. 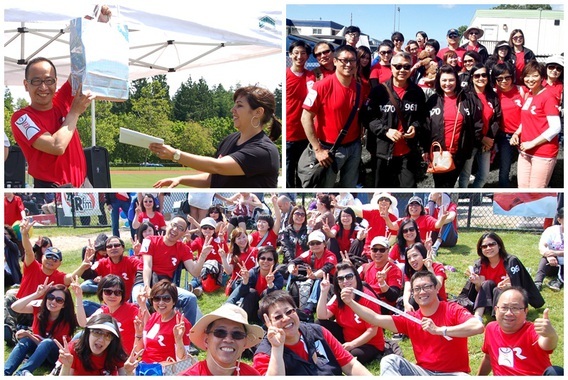 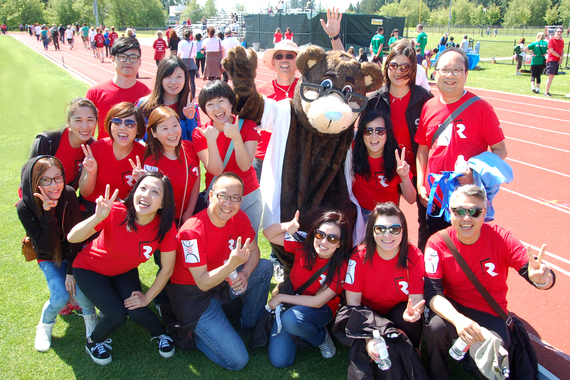 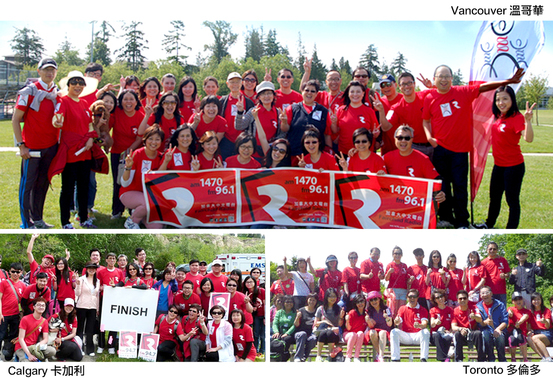 Gutsy Walk 當天天公造美，藍天白雲，微風清送。AM1470 及 FM96.1 DJs 一早到達 UBC Thunderbird Park，往 Gutsy Walk 登記處送上募捐的善款。譚太個人籌得超過 $3,000 善款， 成為眾 DJ 之冠，而李方、盧業瑂、何活權、狄寶娜摩亞、李潔芝等 DJ，籌得的善款亦十分可觀。AM1470 & FM96.1步行隊一共籌得超過 $13,000 善款，佔大會當天 (Vancouver Region) 籌得的 $107,262 的 12%，是第二高的籌款團體，再一次發揮 加拿大中文電台無可匹敵的團結力量! 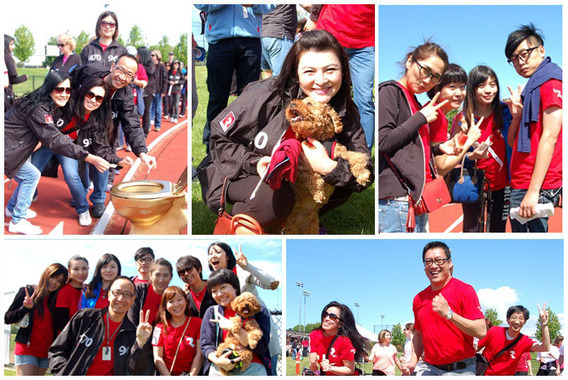 熱身過後，we are ready to walk! 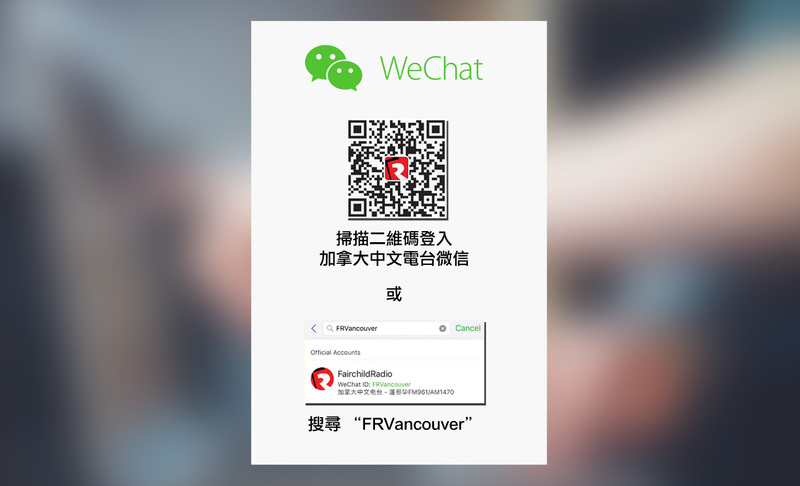 有人跑，有人行，各適其適，毫無壓力，大會更特別準備美味的 Grill Sandwich 及冰鎮西瓜，讓大家補充體力，soooo yummy!